A very proper habitation for the author of... the castle of Otranto. Strawberry Hill House is a beautiful example of Gothic Revival architecture with a wonderful story to tell through its inhabitants, design, collection and restoration. Learn more about Strawberry Hill’s past, present & future by clicking the link below. Strawberry Hill’s garden is free to visit and open all week round. 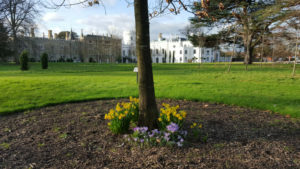 Find out more about our wonderful space for family, picnics, learning and relaxing. Learn more about the team responsible for restoring Horace Walpole’s gothic villa and opening it to a wider public.